Students light candles in rememberance of the victims of the Pittsburgh shooting. Photo by William Craine. 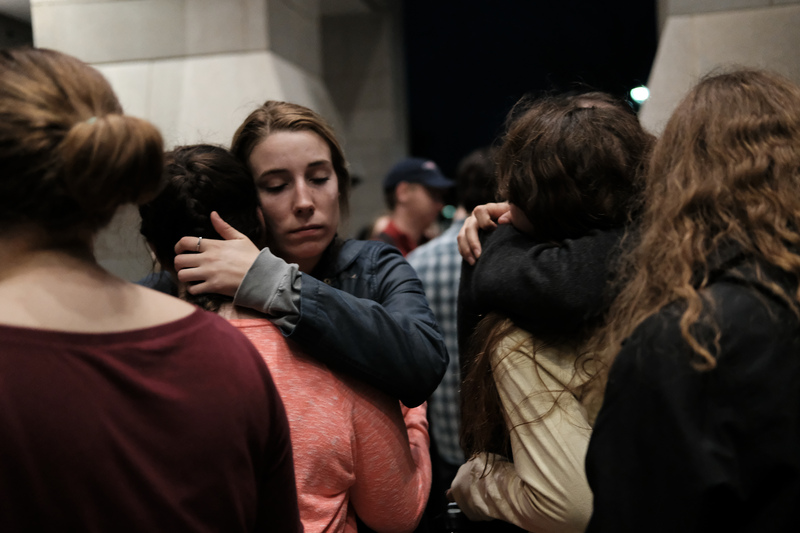 Rain poured down Tuesday night, as the Bradley community gathered outside for the candle lighting memorial for the victims of the Pittsburgh Synagogue shooting. The shooting occurred on Oct. 27 and left 11 lives lost. 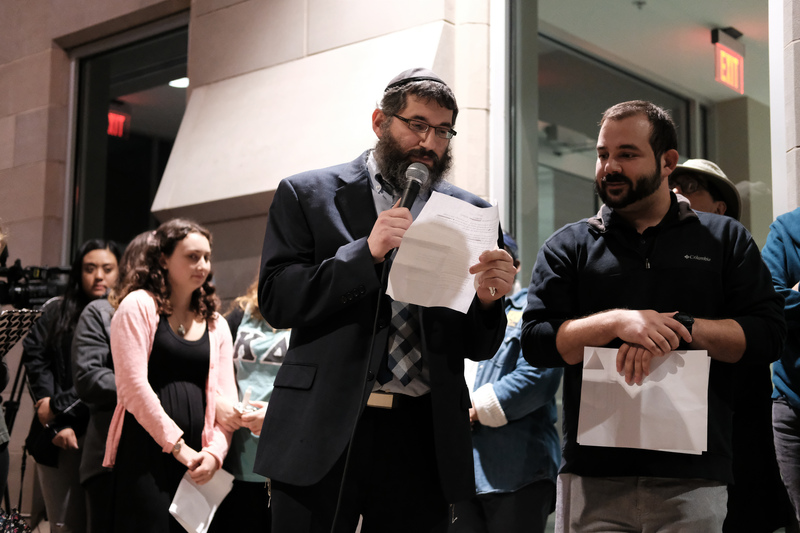 The event was held by Bradley’s Jewish Community, and in response to recent campus tragedy, was also in honor of student Luke Terranova and the two Bradley University employees who lost their lives earlier this week. “This rain is tears for the fallen,” Rabbi Eli Langsam of the Bradley Hillel said. Senior and elementary education major Kyla Gerston spoke to the candle-lit crowd. 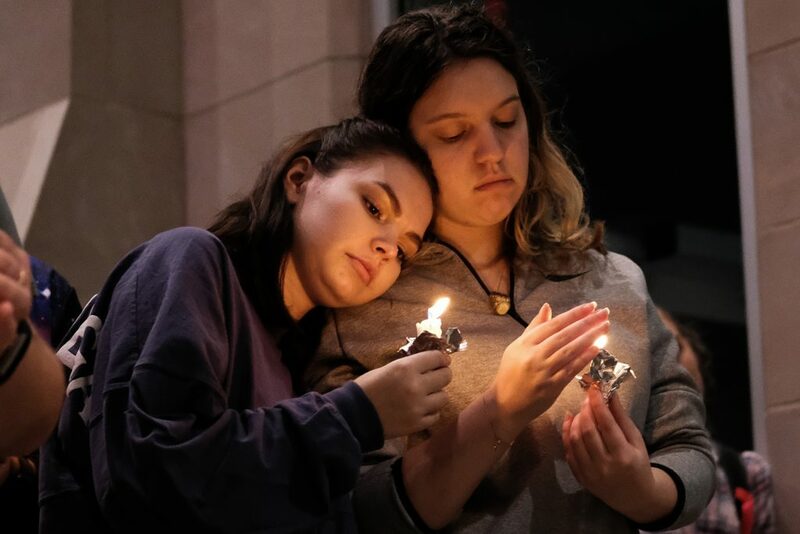 After describing the “somber” scene of her Peoria Synagogue and the frightened faces on the morning of the shooting, Gerston stressed the importance of localizing the tragedy. “This fear is not acceptable. No person should feel unsafe in their place of worship. The attack on the Tree of Life was an attack on every Synagogue everywhere,” Gerston said. Langsam said the candle lighting ceremony was held to acknowledge what took place, and represent the Jewish response to the recent tragedy. “The Jewish community has responded by permeating the dark. It is our responsibility to bring the light, the goodness,” Langsam said. Members of the Bradley speech team performed “Won’t you Celebrate with Me,” a poem by Lucille Clifton. “Even though this writer is African American, I believe she explains something universal, something the Jewish community has gone through for generations,” Kory Turner, sophomore and political science major, said. Several other Bradley community members spoke, including Mikki Tran, senior health science major and Student Body President. 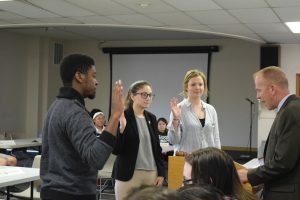 “Bradley is committed to providing a safe community, regardless of gender, race or background. 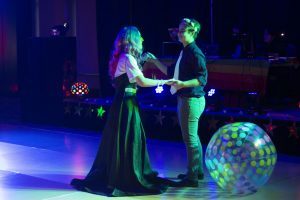 We are all special individuals, and we are here for a reason,” Tran said. Ben Ruloph said he attended the event with his wife, who works at Bradley. Even with the progress made as a country, Langsam said there are still major issues facing the Jewish community today. “It is shocking the words ‘Death to Jews’ are still spoken. There are no words that can make this tragedy right. All we can do is stand together and know we’re not alone,” Langsam said. The ceremony ended with a song sung by Langsam, a reading of the victims’ names and a moment of silence.